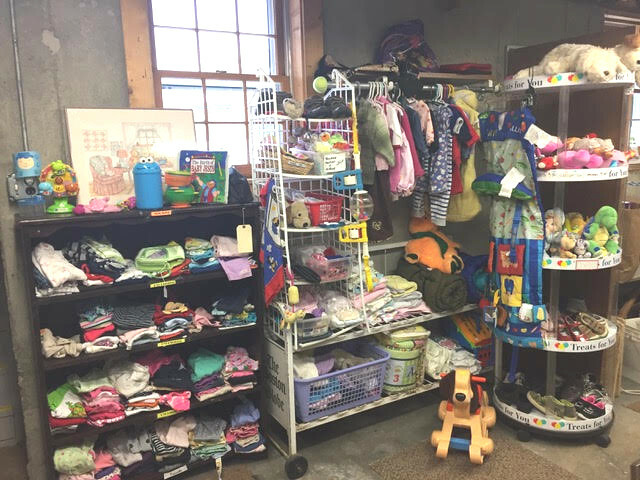 Farmington’s “Blessed Bargains” Thrift Shop Celebrates 20 Years of Making All Things Affordable at First Congregational Church. 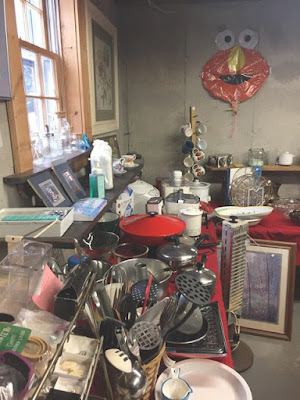 In this changing and often chaotic world, “thrifting” has become a way of finding peace in things from the past and pleasure in gently loved items. That’s why people keep coming back to “Blessed Bargains” Thrift Shop, a basement store where everyone is welcome and customers become friends. It is located at historic First Congregational Church on Main Street in downtown Farmington. Blessed Bargains opened on February 28, 1998 at the suggestion of the church’s minister at that time, Rev. Nancy Spencer-Smith. 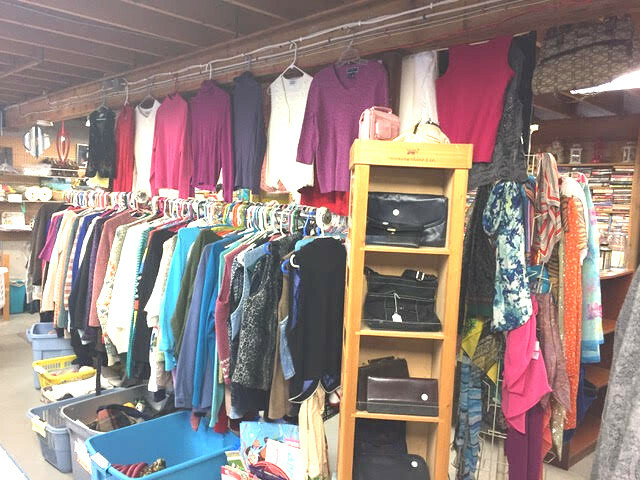 Church members, Susan Loker and Dottie Bean organized the transformation of the lower level of the education building into a “unique boutique” featuring quality clothes for all ages, toys, books, household items, pictures and collectible treasures. 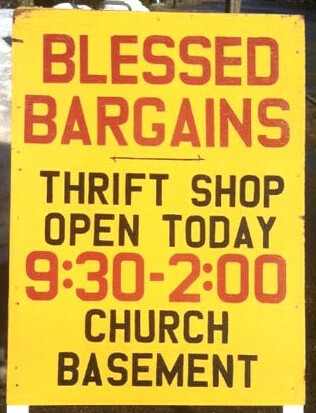 Blessed Bargains is open on the second and last Saturday’s of each month from 9:30 am to 2:00 pm. One of the secrets to the shop’s long-term success is that the prices have never changed in twenty years. Winter jackets are still only $5, sweaters and slacks sell for $3 each and most children’s clothes are 50 cents! Books, toys and many items sell for $1 or less. People come in thinking they don’t need anything, until they see an item that they just can’t pass up. 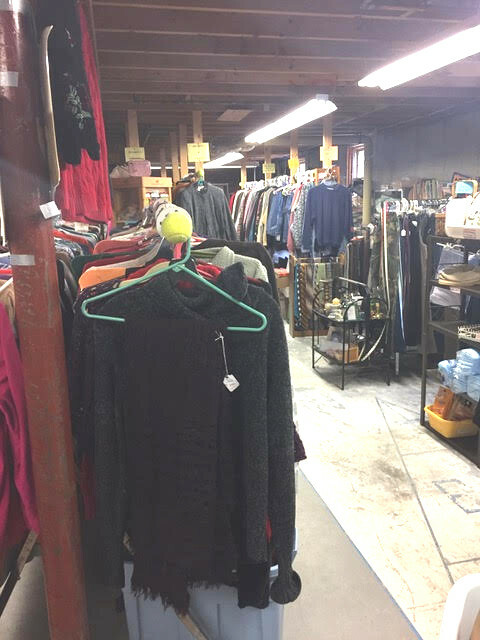 With modest prices, in 20 years, Blessed Bargains Thrift Shop has raised $131,764.00 to assist the church and provide affordable goods to thousands of people. A special reception for the Blessed Bargains volunteers will be held at First Congregational Church, on Sunday, February 25. The public is invited and welcome to attend. For more information, visit the church website at www.farmingtonnhucc.org.